Your alarm clock is buzzing and you want to press snooze just one more time. Who could leave their stylish Fabrice beige twin upholstered headboard and fluffy blankets for a cold floor? 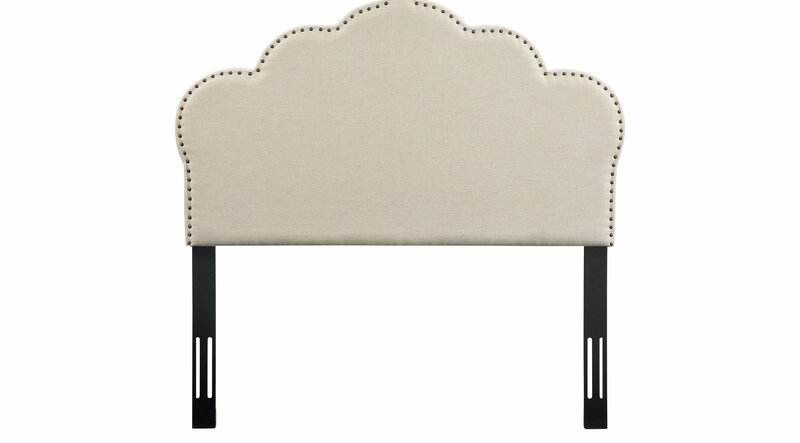 Stay in bed just a few minutes longer and enjoy the elegant curves and sophisticated nailhead trim.